IsItWP WordPress tutorials help you learn WordPress and utilize its full power to build a better website. 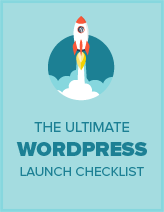 We focus on creating step by step WordPress tutorials that follow WordPress best practices and are easy to understand. Unlike other WordPress tutorial websites, we focus on practical tips that are easy to implement, so you don’t waste your time.